Edith Aldridge specializes in comparative and diachronic syntax. Her dissertation work (completed in 2004 at Cornell University) was a comparison of word order and alignment in Tagalog and the Formosan language Seediq. Her recent work in Austronesian syntax focuses on accounting for variation in terms of diachronic change. 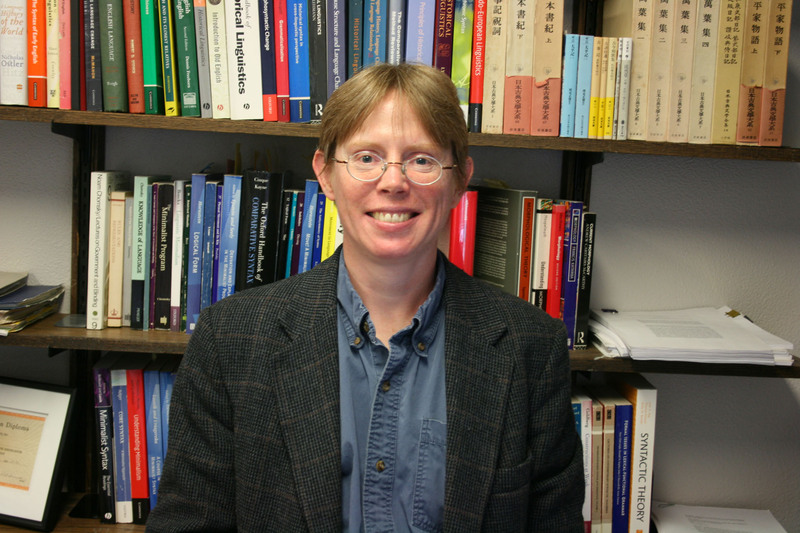 In addition to Austronesian languages, Aldridge also works extensively in Chinese historical syntax, concentrating particularly on changes spanning the Classical (3rd-5th centuries BCE) and Early Middle Chinese (2nd-1st centuries BCE) periods. Aldridge has held visiting and postdoctoral positions at Stony Brook University and Northwestern University, respectively. She is currently associate professor in the Linguistics Department at the University of Washington.